Home > Uncategorized	> Paint the stairways green? Hmmmm. Paint the stairways green? Hmmmm. 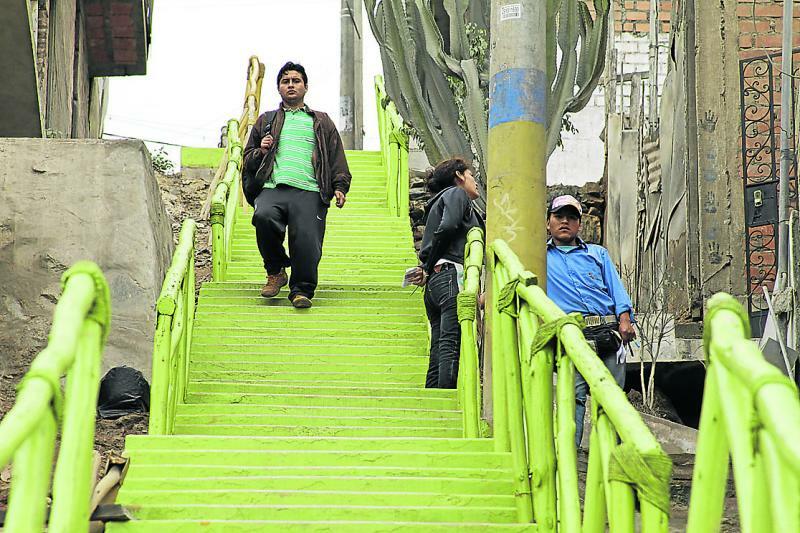 As you will have read from my blog entries concerning my thesis, the stairways of Lima installed under the Castaneda administration were an iconic yellow, color of his political party. I proposed in the thesis that the incumbent mayorship whose political party color was green would benefit from the stiching or weaving together of stairways through the use of architectural programs at times painted green. A compliment rather than replacement. The result is sadly below.